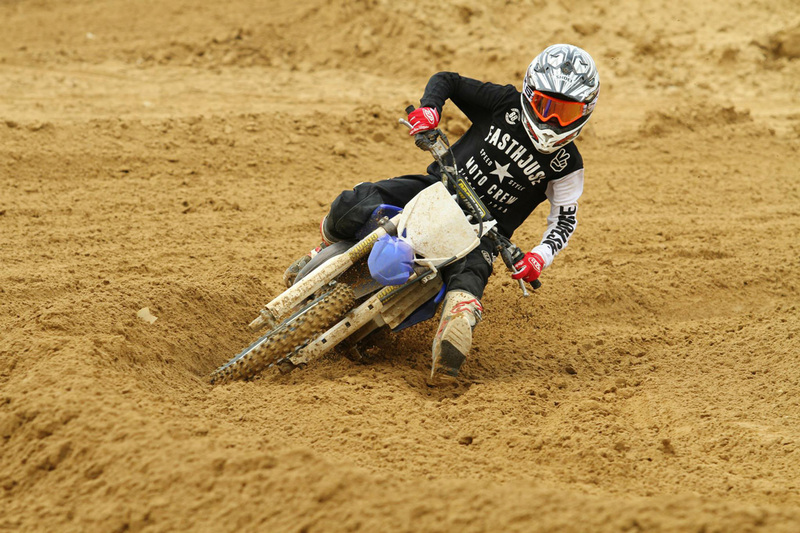 Southern California is the hotbed of motocross, but in recent years, Florida has begun to rapidly gain in popularity among not only professional racers, but amateurs as well. Every year, more riders make the pilgrimage to the Sunshine State, more tracks pop up, and more young talent emerges. 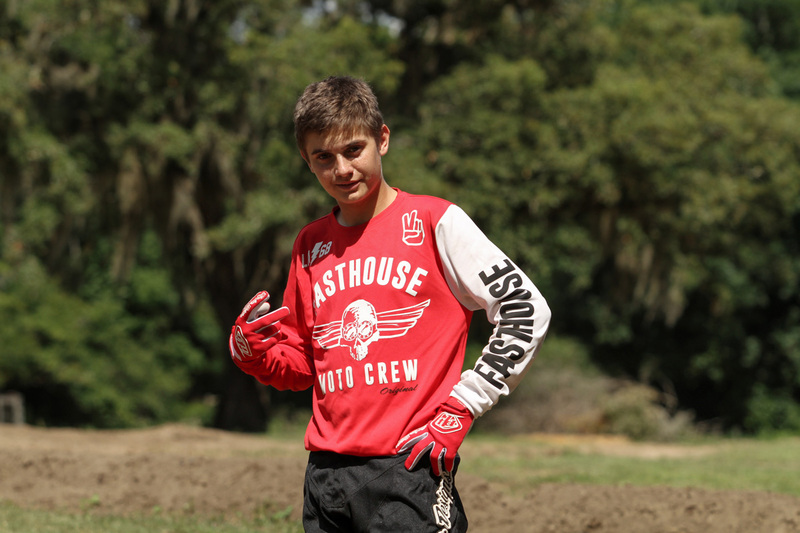 A few weeks ago, we received an email from a young rider by the name of Devon Stodart, asking us how he can get his hands on some Fasthouse gear. After a quick follow-up phone call, and a glance at his racing credentials, it didn’t take long for us to decide to send this rad kid some gear, likely starting a relationship that will last long into his professional career. Devon grew up in Florida, began riding at the age of three, and has never looked back. For the past few years, he and his family have been putting all their effort into chasing Devon’s dream of turning pro. And for 2015, they plan on making the tour of the top Amateur Nationals in the country, competing in the stacked 85cc classes. We decided to find out a little more about Devon, and gave him a call for this edition of At Random. I started riding when I was three and I’m 14 years old now. My dad told me that if I could ride a bicycle without training wheels, he would get me a motorcycle. The next day, I rode without training wheels, and we went to the motorcycle dealership (laughs). My first bike was a PW50. What does motocross mean to you? Why do you ride? It’s all I've known, really, since I was three. It feels awesome to go out there and throw some big whips. Whenever you’re in your prime and killing it, it’s the best feeling in the world. You started riding at a very young age. 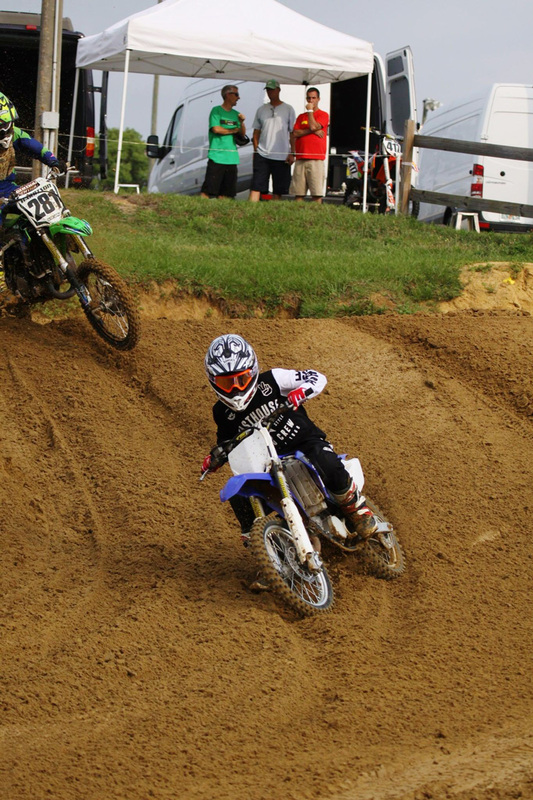 Has motocross been in your family? Actually, my dad has just ridden Harleys his whole life. 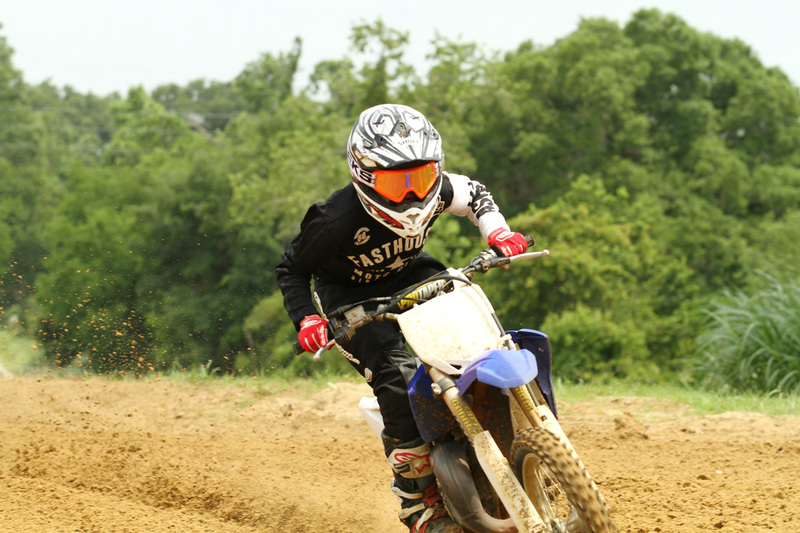 Motocross is new for us. It started off as a weekend thing for us. We didn’t really start taking it seriously until the last couple years when I started doing Nationals, and I was doing pretty good. I was winning stuff and started realizing that I could maybe make a career out of this. My dad then took me out of school to home-school me, so I could train, and I’ve been doing pretty good lately. How many years have you been racing for? I’ve been racing for about nine or 10 years. I started racing on my PW50 at a local track—it’s where [James] Stewart, [Chad] Reed, and Tim Ferry used to ride a lot. Talk about the tracks in Florida. They’re a lot different than what we have out here in California, right? It’s really tacky out here and we get really good traction out here. California has a lot of hard-packed tracks, and out here you get a lot of traction out of the corners—you can pretty much hold it wide open. It’s always a lot of fun. You’re one of our first East Coast riders. What do you think about Fasthouse? It’s rad. I found out about Fasthouse, and I emailed Kenny and said, “What can I do to get gear?” I was digging it. He told me that he’d hook me up and that he liked my style. About five or six days after that, I got some Fasthouse gear, I went to a local track and everyone was digging the gear. A lot of the guys on the East Coast haven’t even heard of it. I definitely dig it and I really like the look of it—it’s different. The gear companies now are putting too much design into their gear. The simple style of Fasthouse is cool. I’ll be heading over to North Carolina for an area qualifier for Loretta’s. I’m just trying to make it happen and hit all the Nationals. Devon plans on racing all of the major Amateur Nationals this year.